Want to know how to sell house fast? Then you have come to the right place. 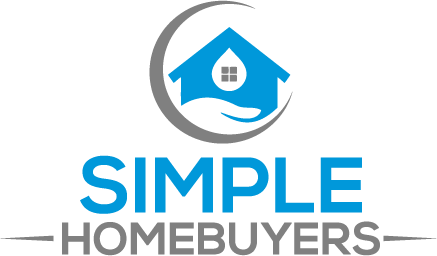 Your selling partner simple homebuyers lets you sell your house real quick and they give a fair all-cash offer. Home selling can be really frustrating and they understand that well, that’s why they help you to sell your house in whatever condition without any obligation. There could be so many reasons to sell a house. Maybe someone has just experienced a divorce, someone might be moving to a different location, some might need to pay the mortgage, liens, and what not. There are so many reasons. It lets owners of the unwanted property get rid of it easily. Don’t worry if your payments are due for a home or a personal loan or if you are going through a rough time, maybe you can no longer afford the repairing charges for your home, whatever the reason be. They are there with you when you need them the most. No, you don’t need to contact any agents to sell your house. Call simple homebuyers, not even the agents can help you the way these guys can. Not everyone can afford relators commission right. Why sell through simple homebuyers? No need to sign contracts. All you need to do is contact them, they are always ready to buy. So, there is no waiting period. No need to wait for days in search of a buyer when the buyer is sitting right in front of you. Why do you want to stress over speaking to tons of people? This way it will take months to sell your house and then remains the expensive fees of the agent and you never know what else is stored after that. Paperwork, legal work, documentation, and what not. Simple Homebuyers work very differently. Right after you fill their short form, someone will get with you shortly giving you a fair all-cash offer and that too within 24 hours. You can take your time and close the deal whenever you think the time is right. They give you cash and you don’t have to worry anything about cleaning your property before selling, they will take care of everything. In short, no matter what condition your current property is and no matter what is the reason behind selling it, you can easily come out of this solution by contacting simple homebuyers. Their goal is to make your life easier and help you with your home selling process. Stop stressing over and get rid of your unwanted property easily. It is fast, reliable, honest, and a value for the deal.